Dolphins are often sighted off the Cornish Coast, in large shoals. Not having particularly good sea legs I’d rather stay on shore so I have never been lucky enough to see dolphins at sea. A few years ago whilst walking into Mevagissey I did see a large grey ‘fish’ like creature following a fishing boat into the harbour. A quick dash to the quay and there was this lonely (and crafty!) 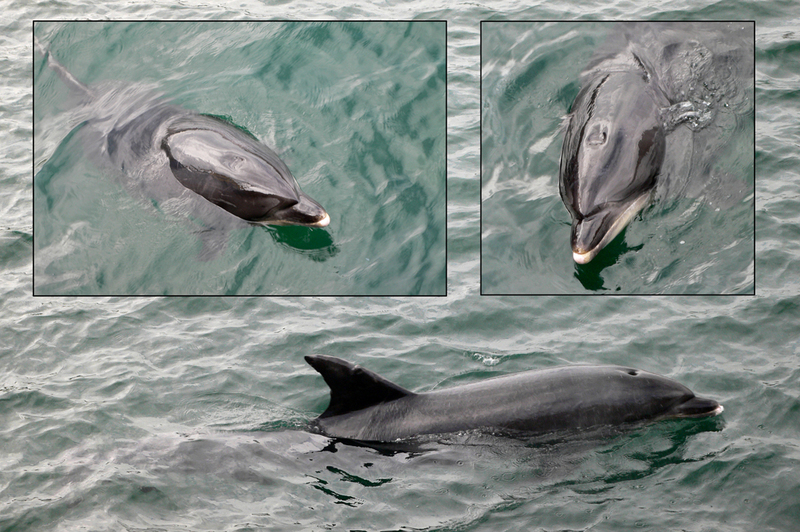 dolphin who regularly follows the fishing boats in looking for titbits!